Dealing with losing a loved one is challenging enough without adding legal problems into such a difficult time. Probate law and the handling of estates is a complex matter that is best handled by a legal professional. At the law office of Frederick A. Costello, we are experienced in probate matters and are here to help you deal with the sometimes lengthy, frustrating, and expensive hassle of a court-supervised probate process. At the law office of Frederick A. Costello, we can guide you through probate, inheritance, trust and tax matters in a sensitive, reliable, and cost-efficient manner. We will protect your interests and help you through this difficult time by handling the legal burden that sometimes follows the passing of a loved one. Let us help make sure that the estate and assets of your loved one are handled properly and legally. 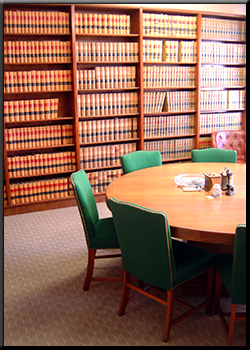 At the law office of Frederick A. Costello, our professional experience in dealing with probate matters will certainly make this time period easier for you. Contact us so we can help with any legal issues you may be having as a result of probate matters.